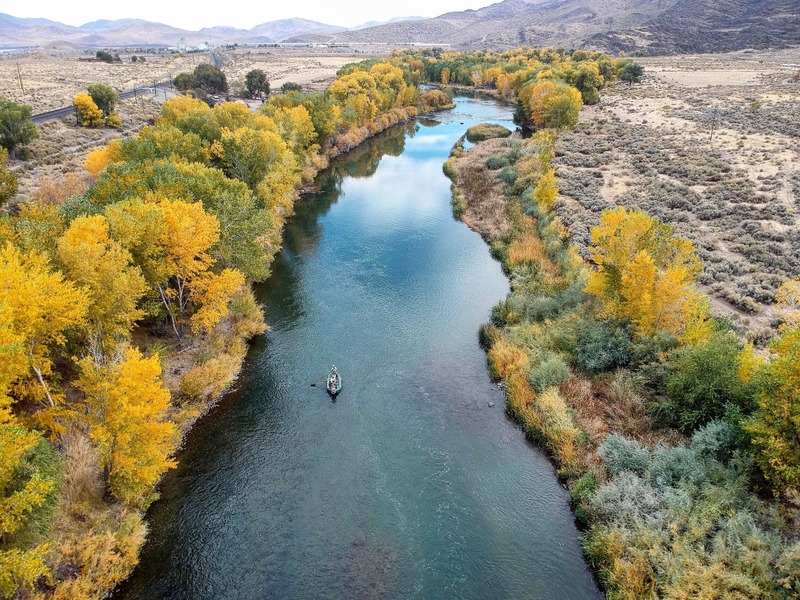 Cold nights, brisk days on the Truckee River. Downright cold when the North wind is blowing. Been about 15 here in the Hirsch every night, and not a whole hell of a lot warmer in Reno at night either. The switch kinda turns mid-November’ish. The next 2 months or so are generally the coldest. When we get storms on a regular basis it is actually much warmer. Hopefully that happens. Still fishing on the NV side of things. Just so much warmer down there compared to up here right now. Been good at times, and poor at times. Some days you can get some big fish to chase and sometimes you can’t. Mainly speaking streamer fishing. There are a lot of variables on this Truckee River. After all these years and thousands of days guiding, seem like I’m still figuring it out. I always tell people if you want easy fishing, get in a boat, and go float the Lower Sac. It’s just never really that easy up here. Thing is though, we got big Brown Trout. 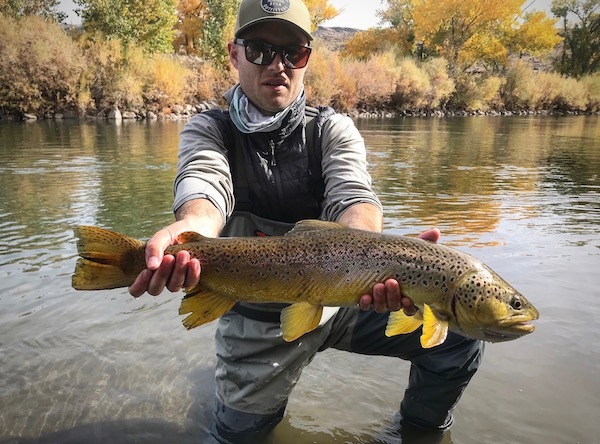 Everyone loves a Brown Trout. Good flows still on the Nevada side, so looks like I can keep floating for a while. In California, gonna be tough fishing until we can get some weather to shake things up a bit. Clear and cold. Peg an egg, worms, small baetis, and zebra midge type things if you’re up around fishing here. Streamers can be good to pull them out of a lethargic mood sometimes. Water be cold and you have to hit them on the head. Be a patient angler. Fish a run for like an hour and move on. 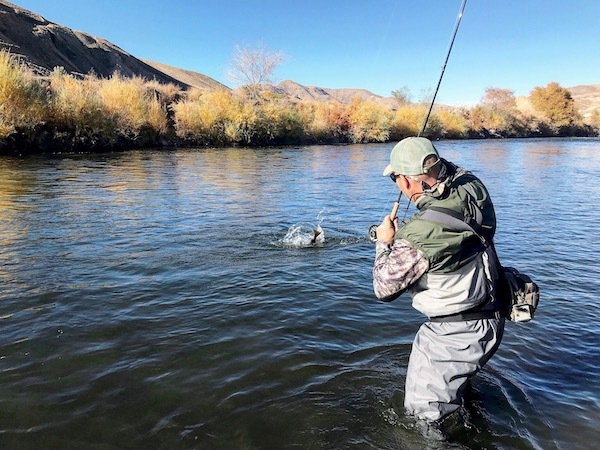 Trouts are usually in water moving at a slow walking pace.